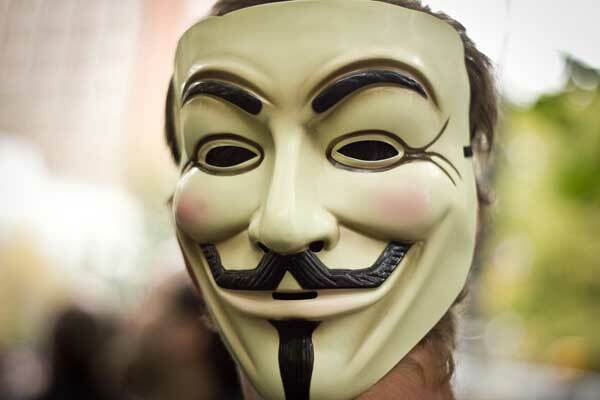 Hackers from Anonymous are planning to attack Sony for once supporting SOPA next Monday, according to a report from SC Magazine, which claims that both Sony.com and the Sony Music store are the targets. ‘Hacktivists’ from the collective are reportedly plotting to load Sony’s homepage with BitTorrent files, which are exactly the type of Internet content SOPA is aimed at closing, and deface the executive bios that sit on the corporate site. Furthermore, they are planning to cause more issues by removing the price of all of the content in its store, effectively making everything in there free. The project is being referred to as a “payload” which suggests that the hackers are planning to militarise to bring their hacking plans to fruition. Eta is working to remove price tags from the Sony store, Zeta is aiming to set the payload up and direct anyone who visits Sony.com to it, to maximise the chaos. The Theta has been tasked with securing the hack against any measures that Sony may take to fix the situation. The rest of the teams — Alpha, Beta, Delta and Gamma — are developing the payload for anyone to take part and add their own torrents, while they are specifically locating copyright-infringing torrents to place further emphasis on SOPA and the issues. From its enquiries, SC Magazine believes that the hackers are conscious of their public image following the series of hacks that they have carried out, which have included exposing Sony gamers’ details. This new project appears to be aimed at providing social awareness through hacking, rather than just causing outright chaos. The original report appears to have been compiled with considerable access to the workings of Anonymous, or at least by communicating with sources that are close to the organisation. It remains to be seen whether the plans will hatch as is anticipated or whether Sony will be able to thwart it in advance of the hack. Sony backtracked on its support of SOPA late last year, having come under criticism from across the Internet, with Anonymous itself threatening the company with action. Despite the change of stance, it seems that the hacking collective is intent on picking out the company for treatment, once again.